Fireworks | 52 Week Photo Challenge with Some Pretty Creative Themes! State College of Florida Foundation, Inc. celebrated the 30th anniversary of Evening Under the Stars. Evening Under the Stars takes place at the Venice campus of SCF and is an outdoor concert that features the SCF Big Band, The Venice Symphony and ends with an amazingly beautiful display of fireworks. It’s a really casual event and guests bring their lawn chairs and coolers. It never disappoints year after year though this year ended a bit shorter than most due to the rain that came in towards the end. 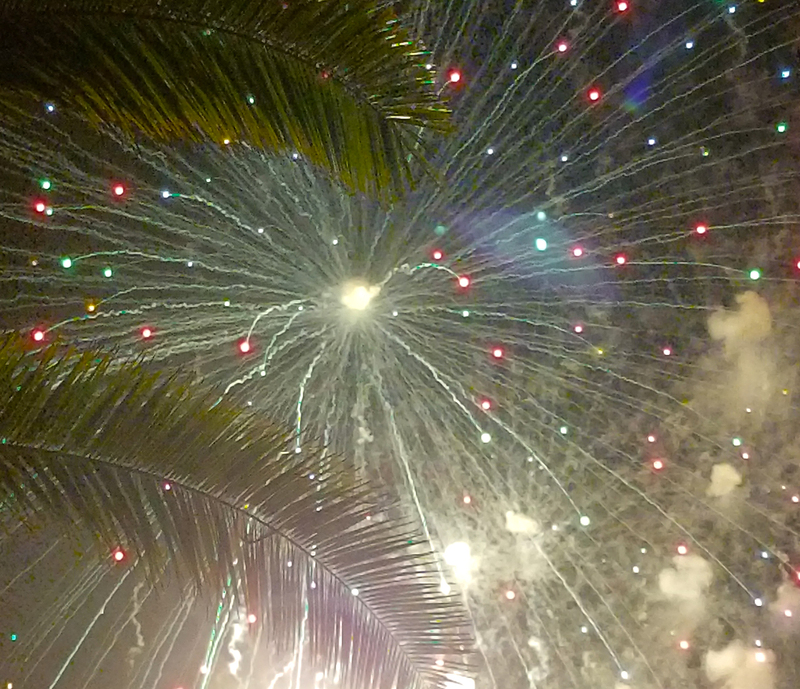 I like this photograph for capturing the colors it did among the palm fronds. yes – I like through the fronds too!